Size your doweling rods. Cut a 16 inch long rod and a 24 inch long rod. Measure your pieces using a ruler. Mark the 16 inch rob in half. Mark the 24 inch piece at 1/3 of its length. Position the two rods at right angles, one on top of the other so that the marks touch. The two rods should form a cross shape. Place the two rods together and bind them with string. Tie the string in a knot and remove any extra string. Cut a notch to hold the string into both rods with a utility knife. Wind string in the notch at the top of the kite frame. After the string is secure at the top of the notched rod, pull it tightly around the kite frame. Be sure that the placement is exact in the notching on the rods. 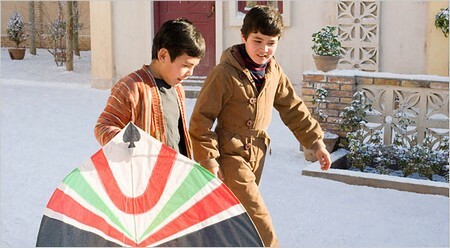 Tie the string together in a knot at the very top of your kite frame. Now, put your completed kite frame on a large piece of paper. Use your scissors to cut around the shape of the kite frame. You may also use a utility know. 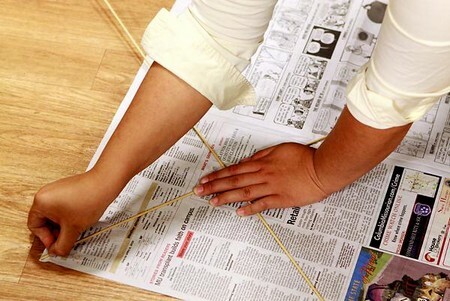 Be sure to cut the paper ½ inch bigger than the kite frame around the sections of string. Place glue around the edges of the paper and securely enclose the string inside the folds. Attach the paper to the inside of the kite frame too. Check to make sure you have used enough glue to secure the paper to the string and to itself as well. Next, tie string to the 16 inch rod. The string should be slightly longer than the rod itself. Tie a stringer that is slightly longer than the 24 inch rod to the end of that rod. Find the point on the kite where the strings overlap. Do this by picking the two string up in one had. Use a small piece of extra strings to tie the two strings together. This is where you will attach your kite string when you are ready to fly your new custom kite. 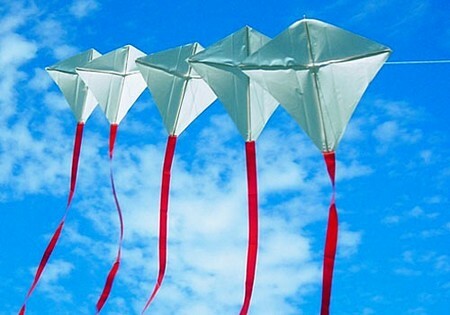 Use ribbons to create the tail for you new kite. Glue the ribbons on to the end of the kite. Use a strong glue so your ribbons are firmly attached.